1. 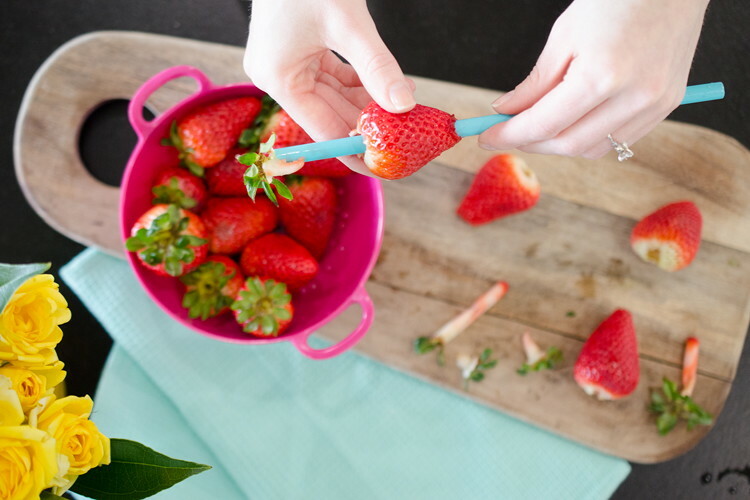 Stick a straw through the center of a strawberry to remove the sour core. 2. 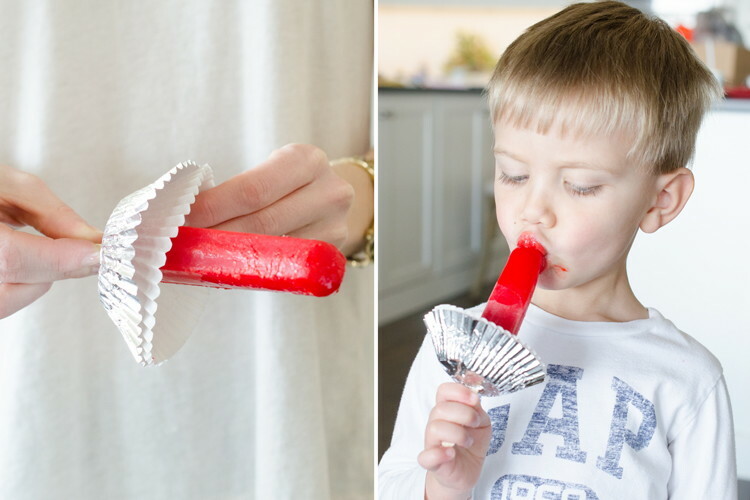 Catch popsicle drips with a cupcake liner. 3. 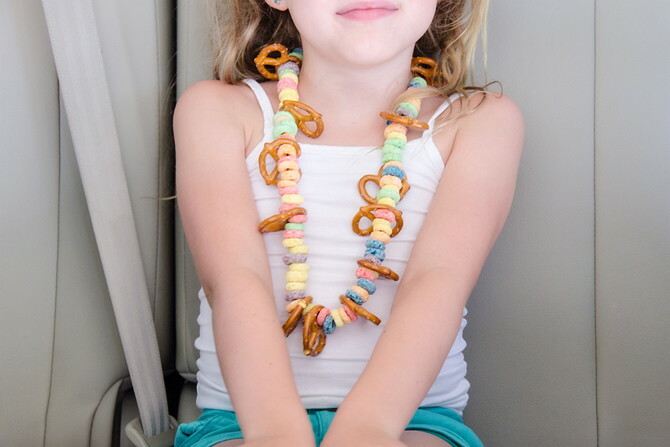 Have kids make their own edible snack necklace before a road trip. 4. 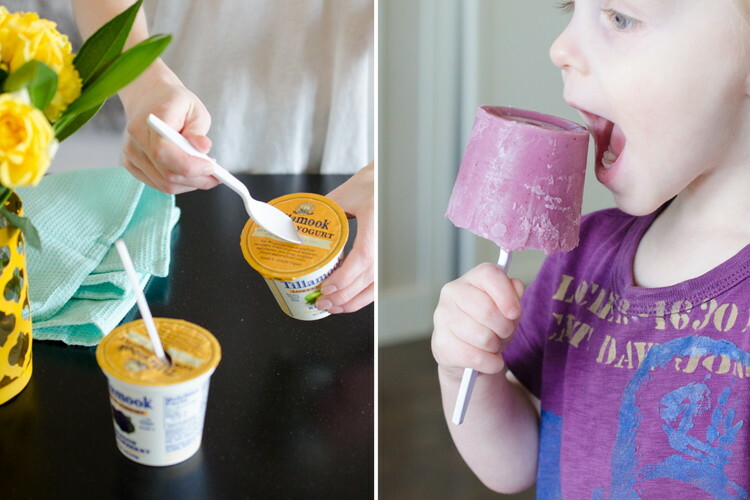 Insert a plastic or wooden spoon into yogurt cups and freeze for easy yogurt pops. 5. 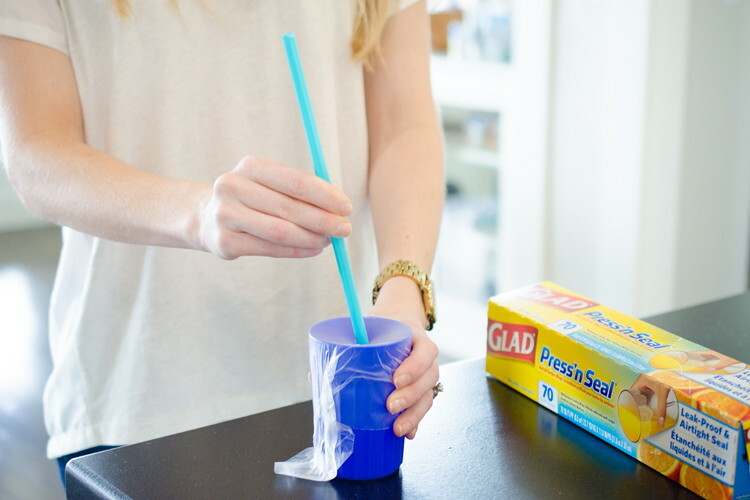 Prevent spills by covering a cup with plastic wrap. 6. 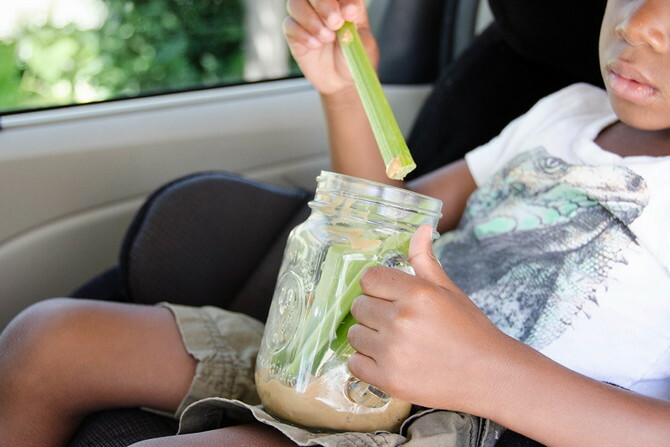 Prepare single servings of peanut butter and celery in lidded jars. 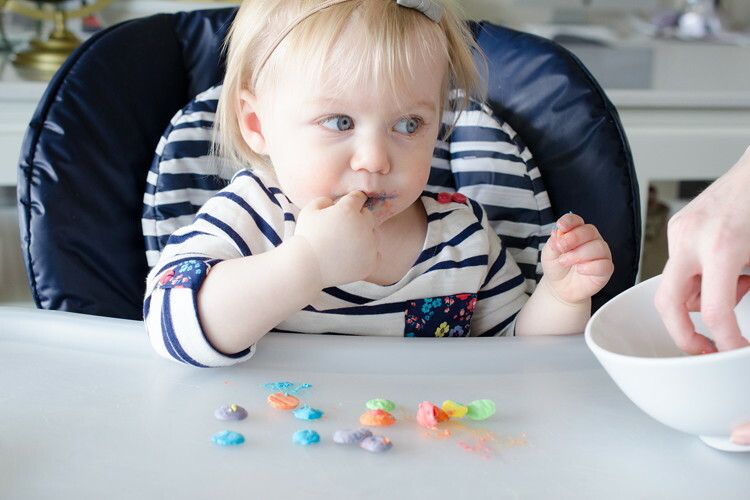 If your child can’t finish it all in one serving, just twist on the lid for later! 7. 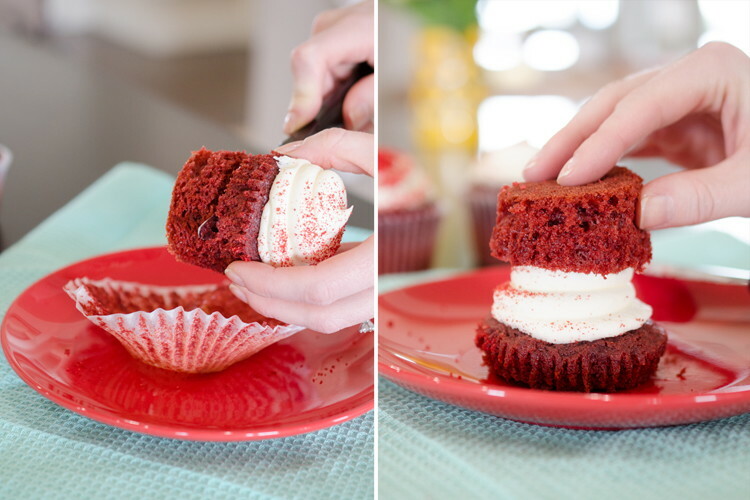 Cut the bottom off a cupcake to make a mess-free sandwich. 8. 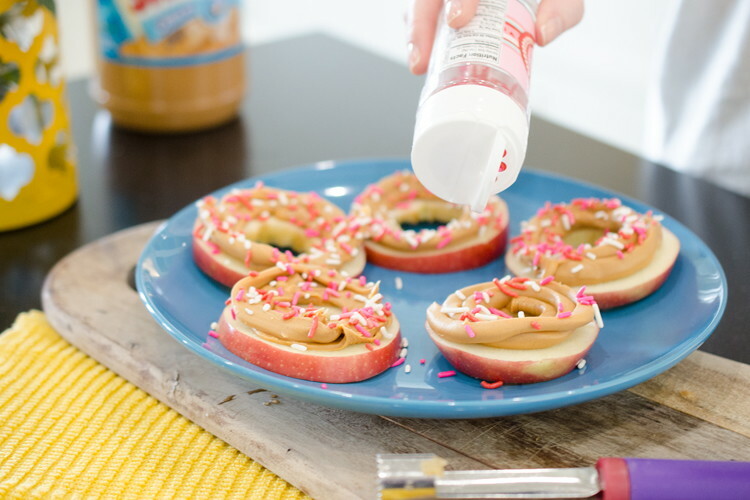 Turn apples into “donuts” with peanut butter and sprinkles. 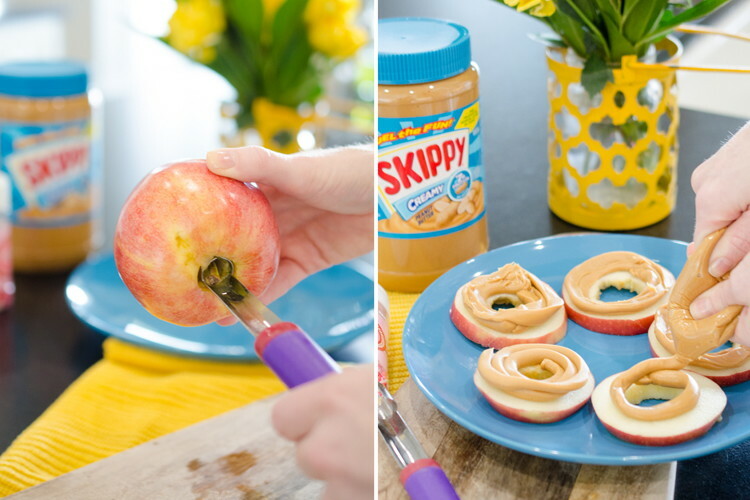 If you don’t have a fruit corer, use a small circular cookie cutter, a metal pastry bag top, or a knife to form holes in sliced apples. Pipe peanut butter (a baggie works well—just fill, snip a corner off, and pipe through) onto slices and decorate with sprinkles. 9. 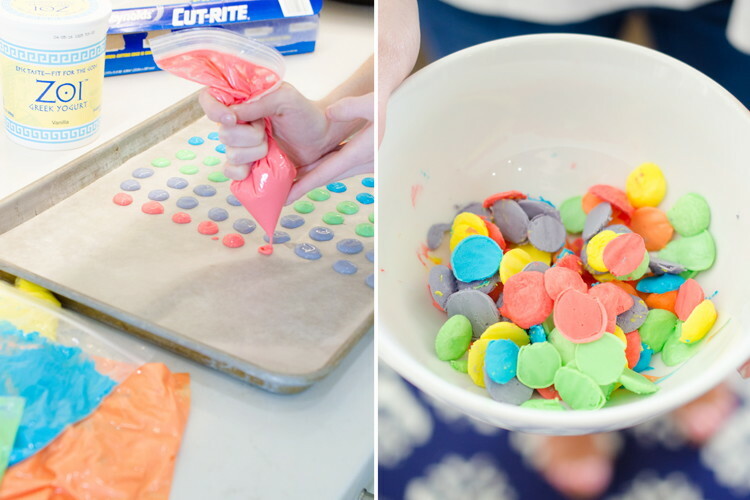 Make frozen yogurt dots. Fill a pastry bag or Ziploc bag (snip a corner off) with yogurt, and pipe yogurt onto wax paper and freeze. Add food coloring for more fun! Bonus: Dip fresh fruit like sliced bananas and blueberries in yogurt and freeze. 10. 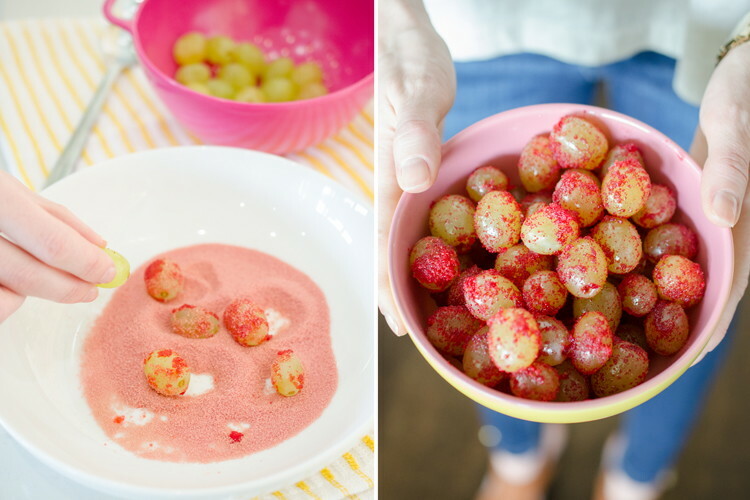 Coat fresh grapes in Jell-O mix and refrigerate for a sweet treat with a serving of fruit. 11. 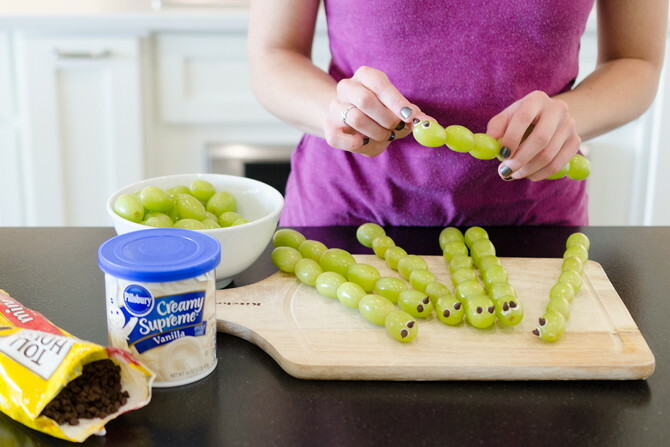 Make caterpillars out of grapes, chocolate chips, icing and skewers. 12. 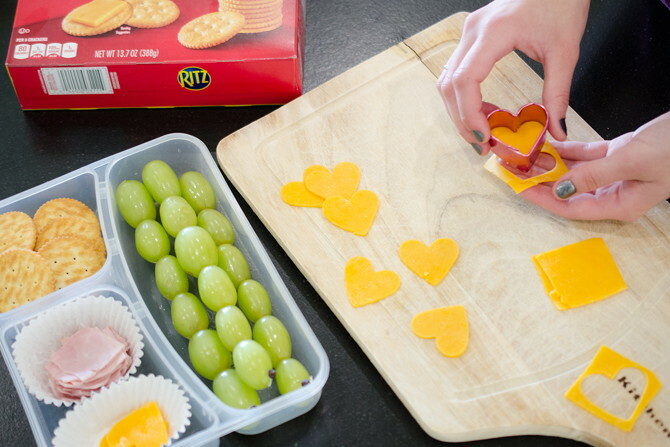 Use a cookie cutter to make fun shapes out of cheese, tortillas, and sandwiches. 13. 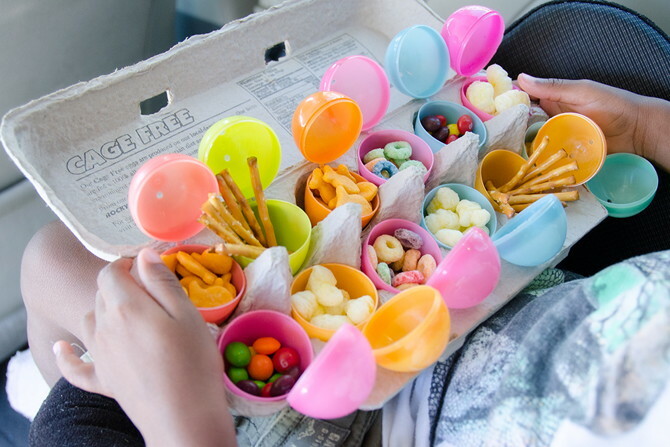 Fill plastic eggs with surprise snacks for treats on-the-go. 14. 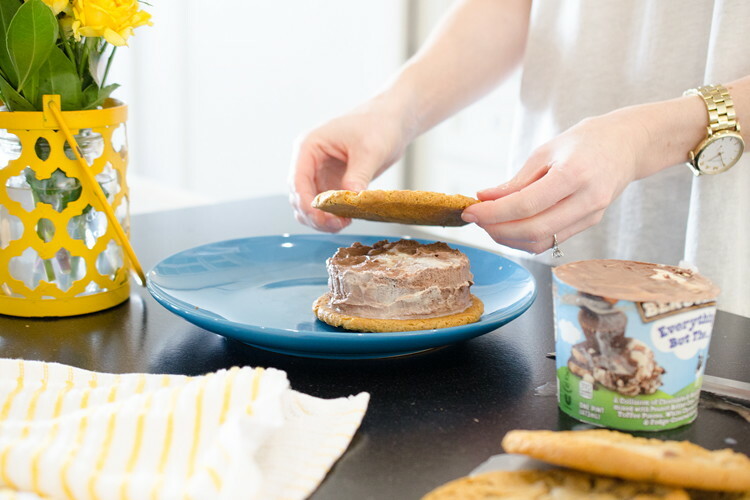 Slice right through a pint of ice cream to make ice cream sandwiches. 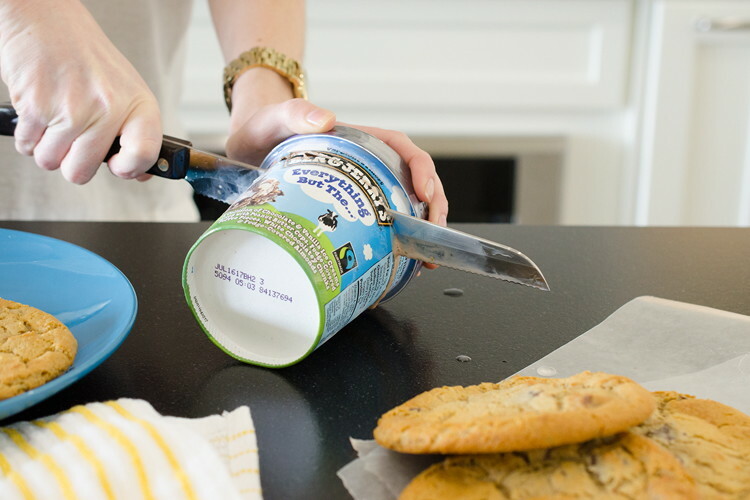 Use a hot, sharp knife to slice directly through the packaging. 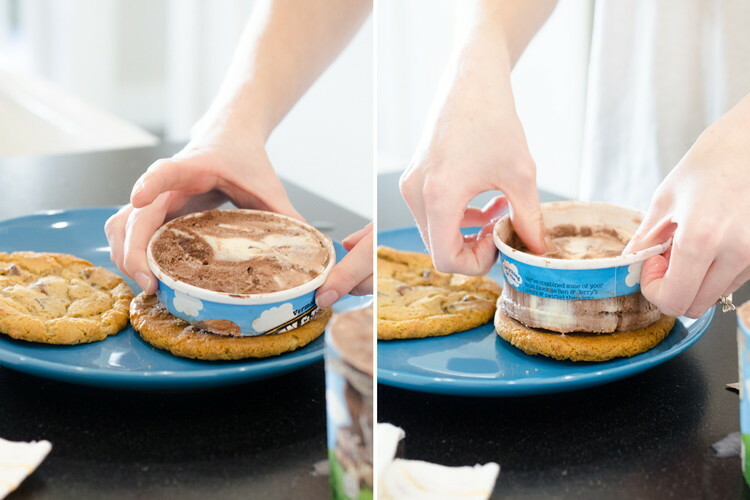 Slide the ice cream out of the packaging onto a cookie, and stack a second cookie to complete your sandwich. Easy peasy!